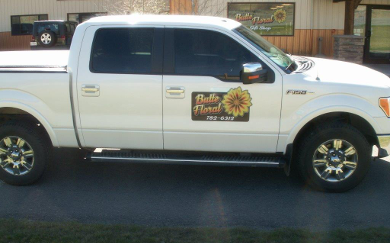 Shipping & Returns : Butte Floral, Your first and best choice for all your floral and gift giving needs in beautiful Butte America! Butte Floral and Gifts hand-delivers to ALL areas of Butte, Montana, including St. James Healthcare, nursing homes, funeral homes, residences, businesses and churches. Same day delivery available on most orders placed Monday to Friday by 2:00pm (MST) and Saturday by 12:00pm (MST). Local delivery fee of $10.00 covers the Butte, MT, local area including Rocker, MT, and Walkerville, MT. Please call (406) 782-6312 or (800) 578-1567 for pricing on delivery in outer rural areas.